Amrut Single Malt Whisky is known as the whisky made in India. One never knows where the social media path will lead in developing relationships. 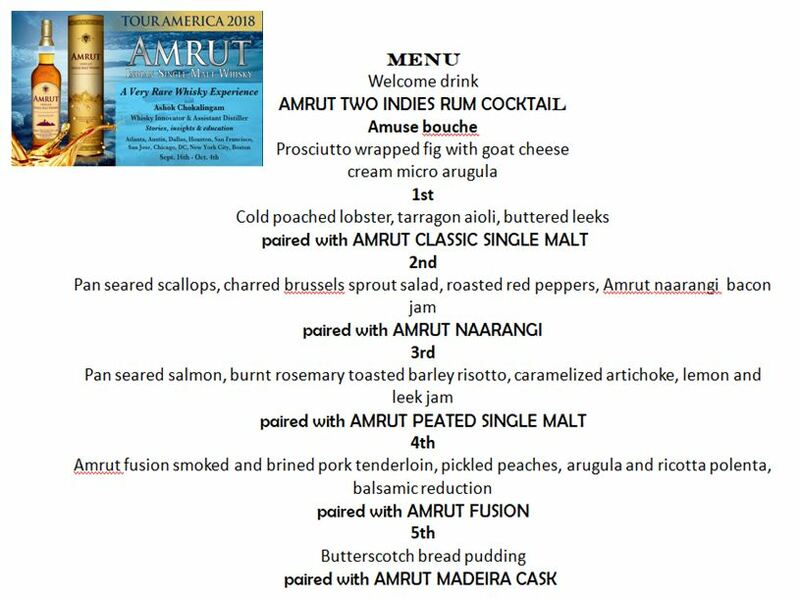 An ongoing Twitter friendship with the whisky expert Raj Sabharwal @whiskyraj led to a VIP media invitation to Amrut’s special Atlanta tasting & dining event – Amrut Tour America. This is a sponsored post in partnership with Armut Distilleries and Glass Revolutions Imports. The tasting and gifts were complementary, however opinions and the passion for this brand are authentically those of the author. As I continue to learn, there are many ways to make delicious whiskies and bourbons; and not all great spirits come from Scotland or Kentucky. Last year at Whiskies Of The World I had the opportunity to enjoy a whisky made in India. When Raj Sabharwal aka @Whiskyraj offered me a taste I was curious and yes, a tiny bit skeptical. This is so good to hear Toby. It is highly regarded among connoisseurs in India. Glad it's making waves in the US too. 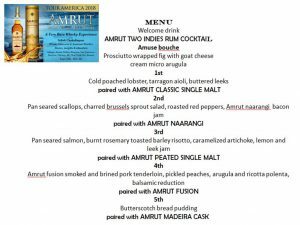 To introduce its products to the U.S. market Amrut was holding special whisky and dining events in major cities. Lucky me – Atlanta was on the Amrut Tour America road trip tour held at The Whiskey Project. 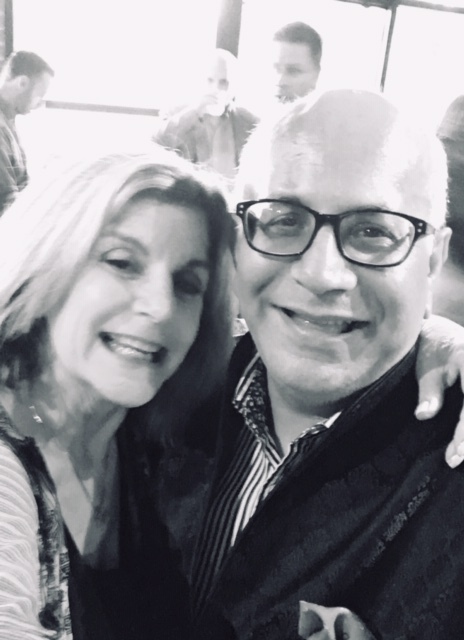 Lucky me – Raj invited me to attend the event as a blogger/media. It was a delight to see @whiskyraj again and to meet Ashok Chokalingam, head of international operations for N.R. Jagdale group aka Amrut Distilleries. CITY #9 – New York City – Today Ashok Chokalingam hits official Trains Planes and Automobile status. Thanks DC. It was awesome. NYC here we come. From the moment I entered The Whiskey Project, the restaurant where the even was held, I knew this was going to be special. There is no better way to feel welcomed than when people greet you by name. Several people, whom I had never met, warmly welcomed me. Seems the PR agency went the extra mile and forwarded a photo (hope it was a cute one!). Shout out to Debbie at Drink PR. 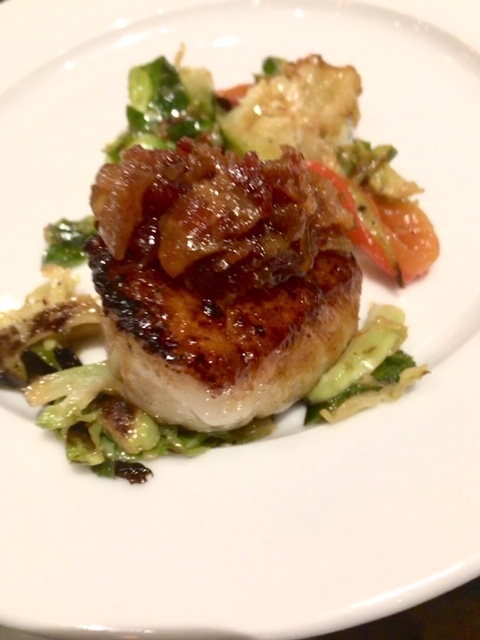 The Whiskey Project’s Executive chef Kevin Leveille prepared six amazing tastings courses. Each dish was perfectly paired with Amrut rum or whisky. The entire dining experience at The Whisky Project in Roswell was superb. The tasting kicked off with a scrumptious Amrut Two Indies Rum Cocktail. It was slightly tart but sweet at the same time and very refreshing for a muggy Atlanta night. The Chef served an amuse bouche that was delightful ~ the slight chew to the fig along with the salty prosciutto, the cream and tang of the goat cheese was divalicious! Although, the food was indeed a wonderful complement to each whisky chosen – or the whisky was a wonderful complement to each dish food prepared, I was curious to why each Amrut whisky was paired with a particular dish. 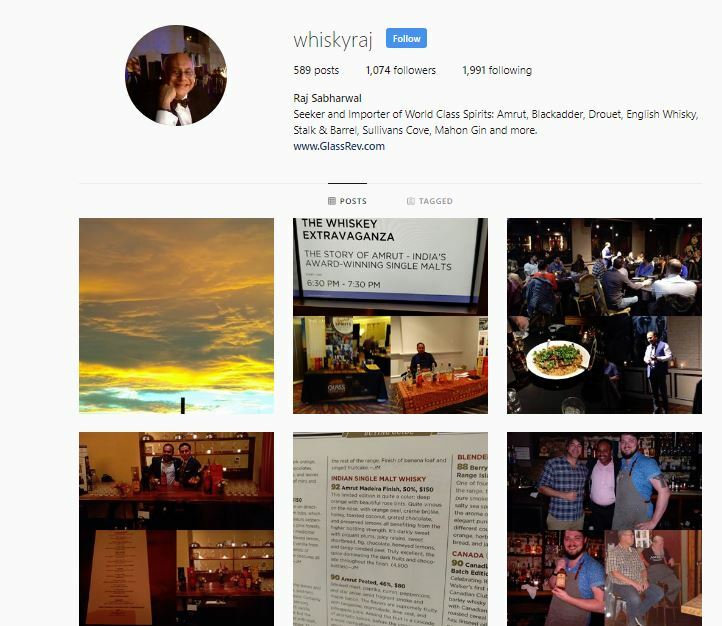 I reached out to whisky expert Raj Sabharwal for his explanation and a few questions about whisky in-general. The way Raj responded to my interview is like a mini course in whisky. Read on ~ you’ll agree. I have had an interest in wine and spririts for over 35-years. However, it was not until 2010 that I turned that passion into searching, procuring and importing spirits. After 25+ years in the corporate world I wanted to do something for myself. My world travels and experiences have allowed me to develop an appreciation for spirits from around the world. To date I have lived in 5 countries and 18 cities – so I am a true citizen of the world. I am an WSET certified instructor and level 3 wine and spirit certified. Diva Foodies: Although in my humble opinion, each of Chef Kevin Leveille’s dishes complemented the Amrut whisky it was paired with, I was curious to know Why each was chosen. Would you please give us a brief understand for each course? Raj Sabharwal: It is tougher to pair spirits, rather than wine with food. The spirit, due to higher alcohol, must complement the food pairing and deliver a harmonious experience. Amuse bouche – We wanted to showcase Amrut Two Indies Rum. Marcus Bifaro, at The Whiskey Project, did a great job creating a cocktail that worked with the passed appetizers. It also set the tone for the evening. 1st The Amrut Classic Malt delivers flavors of citrus, fennel, vanilla and honey. 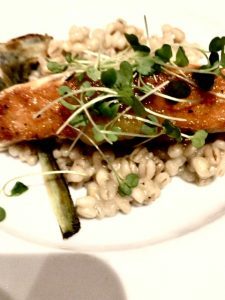 This worked well with the butteriness of the leeks and the sweetness of the lobster. 3rd Amrut Peated delivers a smokiness with some earthy notes and salinity. I thought this whisky would work with the saltiness of the salmon and complement the barley flavors, artichoke and citrus notes. 4th This pairing was a no-brainer, as Chef Kevin had used Amrut Fusion to brine and smoke the pork tenderloin. Amrut Fusion is a very complex whisky with layers of flavors. This was a perfect match. 5th We wanted to end the evening with Amrut Madeira Cask Finish Single Malt. This is a new limited release (1200 bottles for the USA). The bread pudding with its butterscotch flavor cried out for a characterful whisky with sweet notes. The time the whisky spent on the Madeira cask certainly delivered this. Diva Foodies: What is Your favorite whisky profile and why? Raj Sabharwal: That’s a tough question. There are so many whiskies and flavor profiles. Lighter styles make great pre-dinner drams and heavier sherried/port whiskies are great for after dinner. Having grown up in the great north (Canada) I am partial to peated whiskies for the complexities they deliver. Then there is the whole world of whisky cocktails. Diva Foodies: Diva Foodies: For folks who are beginning to explore the world of whisky what general advice can you offer? Raj Sabharwal: Try, try and try as many different ones as you can. 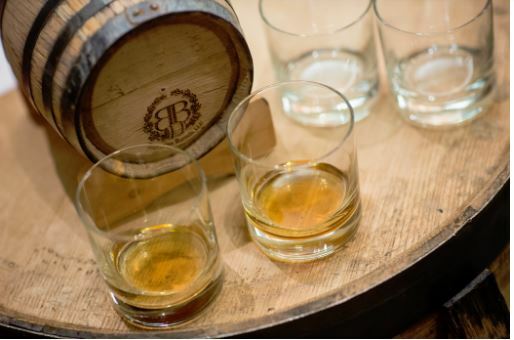 Taste rather than drink a new whisky. Try and understand what makes it different and what the distiller was trying to deliver. Whisky is being produced in countries all over the world. Each whisky offers a uniqueness worth exploring. Diva Foodies: You’re active on several social media channels. Which is your favorite and why? Raj Sabharwal: I believe in the old saying, “A picture paints a thousand worlds.” So I am partial to Instagram. It like looking at a piece of art – you need to try and understand what the person posting was saying. Diva Foodies: Please give us the scoop on what’s next for you in terms of where you’ll take your exciting whisky adventures. Raj Sabharwal: I am always on the lookout for new spirits, mostly whiskies. Last year I was fortunate to obtain a single cask of a single malt made in the former Czechoslovakia. Made during the communistera. Bottled under the name “Hammerhead” this 28 year old single cask, cask strength whisky was limited to 300 bottles. I am hoping to bottle a 30 year old next year. 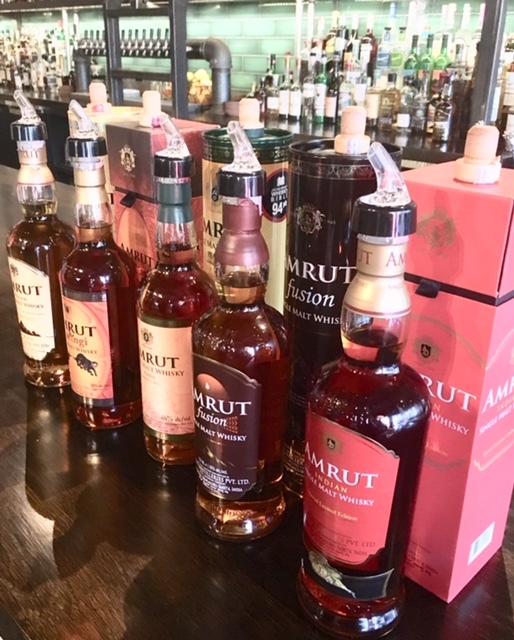 I have located 3 casks from a closed Australian distillery that will be bottled under the private label “Drum Hunter.” When I visited Amrut Distilleries in July I selected 5 casks that will be bottled as USA exclusives. Diva Foodies: Most important – where can people buy, what has become one of my very favorite whiskies – Amrut Single Malt – in the metro Atlanta area? 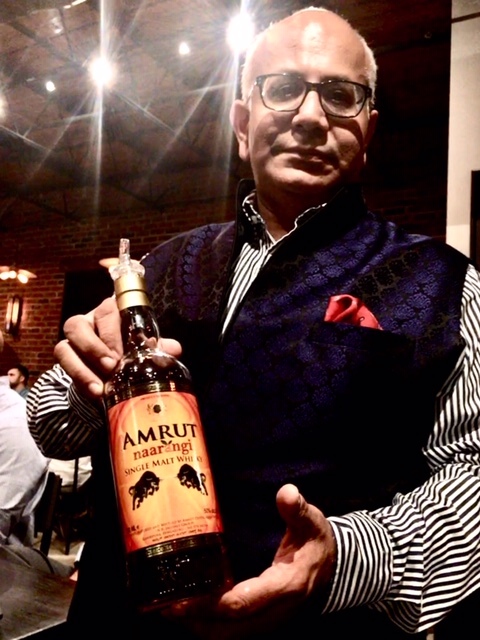 Raj Sabharwal: Thanks for being a fan of Amrut. Amrut Single Malts can be found at Tower, Macs, Total Wine, Rockys and retailers offering better whisky selections. Our Georgia distributor – Atlanta Beverage – can provide Amrut to any retailer interested. 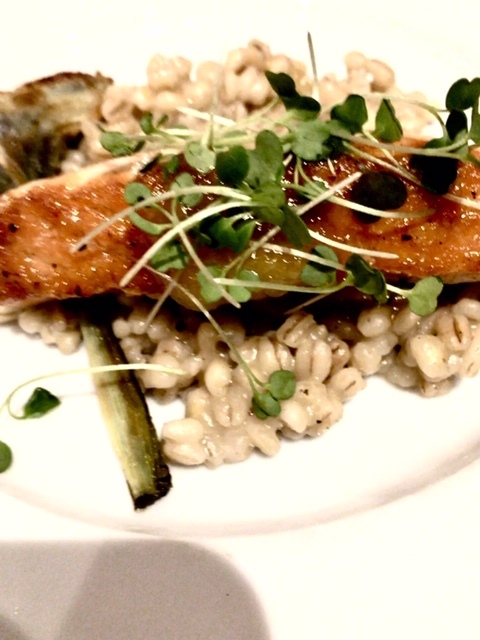 Bars – The Whiskey Project, Watershed, Blue Ridge Grill, Chops, American Cut. 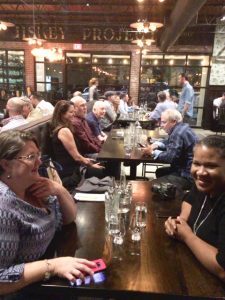 Diva Foodies: Diva Foodies’ tradition is you get the last sip (or word). Wrap it up anyway you’d like. There is an entire world of spirits to explore. Put something worthy in your glass. Cheers! Toby & Raj ~ Cheers! Salute! Cin Cin! L’Chaim! No matter how you toast ~ Enjoy!